As a Tribes trainer for 7 years, I have trained and watched over 300 educators feel the excitement of learning about the Tribes process. They all walked away knowing how and why an inclusive community in the classroom meant more engagement and higher achievement for all. It has been a life changing experience to be part of this much needed classroom culture change. I am delighted to have the opportunity to take this process to London, England this summer. 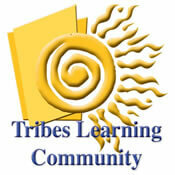 Come out and join in the experience of taking the Tribes Basic TLC training with us. Learn about the process of Tribes while also having time to tour and dine in this exciting city. Your stay includes the 24 hours of training as well as trips in and around this historic city. This adventure includes dinners, theatre tickets, a tour guide, flight and accommodations. Please visit www.ghardytours.com and then click the ‘Apply Now’ at the top of the page. Please have passport and credit card ready.